Q: Who can I contact to help me with registration? Q: Our accounting department will pay for my registration by check. Can I download a printable registration form? A: Yes! A printable registration form is available here. Q: Do you offer group discounts? A: Yes! ACRM offers customized group rates and Institutional Membership to help your organization provide access to ACRM programming to your whole team. Contact Jenny Richard, Chief Operating Officer, +1.703.574.5845. Q: Do you offer discounted rates for students and early career professionals? A: Yes! Students, residents, fellows, and professionals who completed their training within the past five years are eligible for substantial savings. Q: How do I register as media/press and obtain press credentials? Q: What are the hours for Onsite Registration? A: The hours for Onsite Registration vary by day, and can be found in this PDF. Q: Do you have resources for someone trying to make a case for going to your conference? A: Of course! Check out this document either as a PDF or a downloadable word document for help. Q: Will I be able to ask questions? 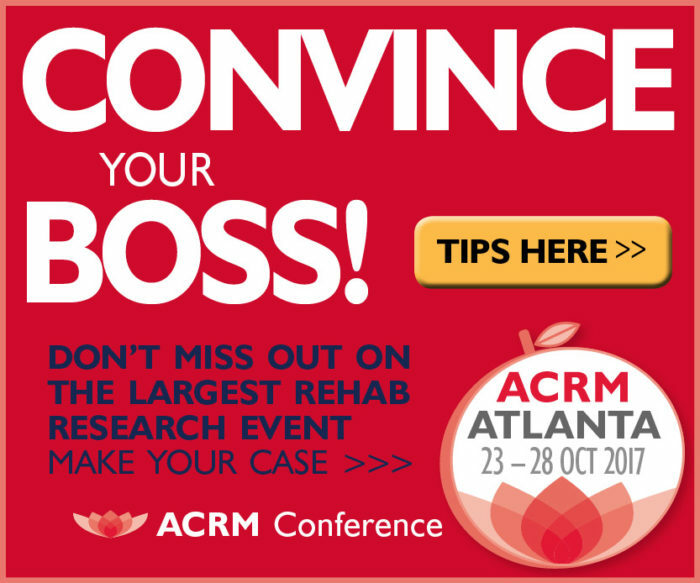 ACRM is designed for personal interaction — between you and the world-class speakers, and between you and other experts in your field. We encourage you to bring your questions! Q: What is the conference attire? A: Attire is business casual. Q: What is the attire at the Henry B. Betts Awards Dinner & Gala? Q: What else is there in Atlanta besides your conference? A: Glad you asked! Take a look at our Venue and Travel page for dining and places to visit or get recommendations straight from ACRM members in Atlanta. Q: Who can I contact about advertising in the conference program? A: Contact Jenny Richard, Director of Membership & Community Relations, +1.703.574.5845. Q: Where can I get information about sponsorship and exhibiting opportunities? A: Information for sponsors and exhibitors may be found here or you may contact Jenny Richard, +1.703.574.5845. Q: How many educational credits can I earn at ACRM? A: If you attend from Monday through Saturday (Pre-Conference through the Core Conference) you can earn up to 44 credits in 15 different disciplines. For more information, check out our Continuing Education Credits page. Q: How much does ACRM charge for educational credits? A: The WORLD PASS is the best value ticket for the ACRM Conference. It includes educational credits bundled with instructional courses and other valuable items. For those wishing to attend only the Core Conference (Wednesday afternoon through Saturday), educational credits can be purchased for $149. This fee will cover all Core Conference credit hours for which you qualify. For more information, check out our Continuing Education Credits page. Q: Why does ACRM charge separately for educational credits? A: Since ACRM serves a wide variety of professionals, some of whom need continuing education credits annually, ACRM offers CME/CEU credits separately from the Core Conference registration in order to keep the conference cost as low as possible for everyone. Only attendees who wish to earn CME/CEU credits will incur the processing fee that covers all educational credits for which they qualify. For more information, see our Continuing Education Credits page. Q: What other courses include educational credits? A: Educational courses are included in the Pre-Conference Instructional Courses, the Cognitive Rehabilitation Training course, the official Academy of Certified Brain Injury Specialists (ACBIS) training course, the Early Career Development Course, and the Parkinson’s Disease Course for Speech-Language Pathologists. Q: I have a question not listed here. Who can I ask?